Hi, last week i bought leather for the first time. 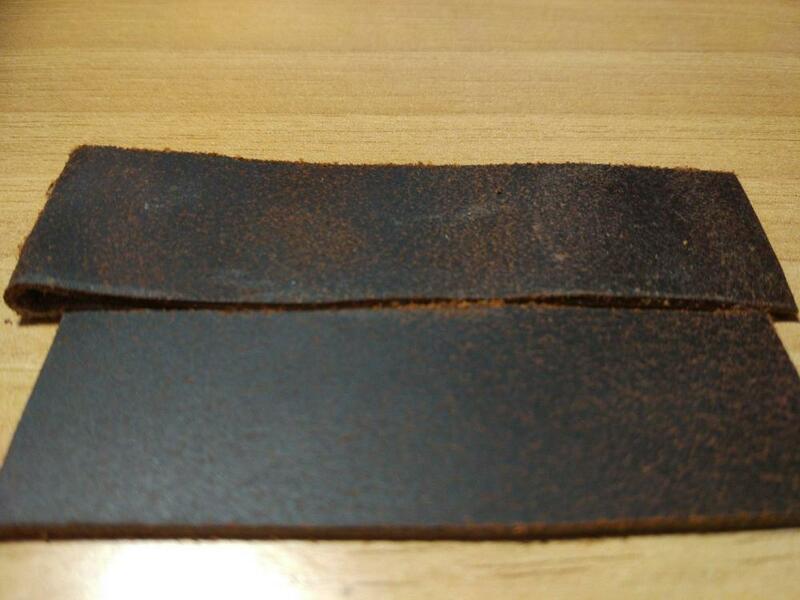 I want to make watch straps and other small leather items as a hobby and i bought a cheap piece of leather for testing purposes. I think the shop owner said that its cow but i don't know anything about the tanning or the finishing. The problem is that when i bend it, it cracks, the colour lightens and the texture becomes rough. Is that normal? 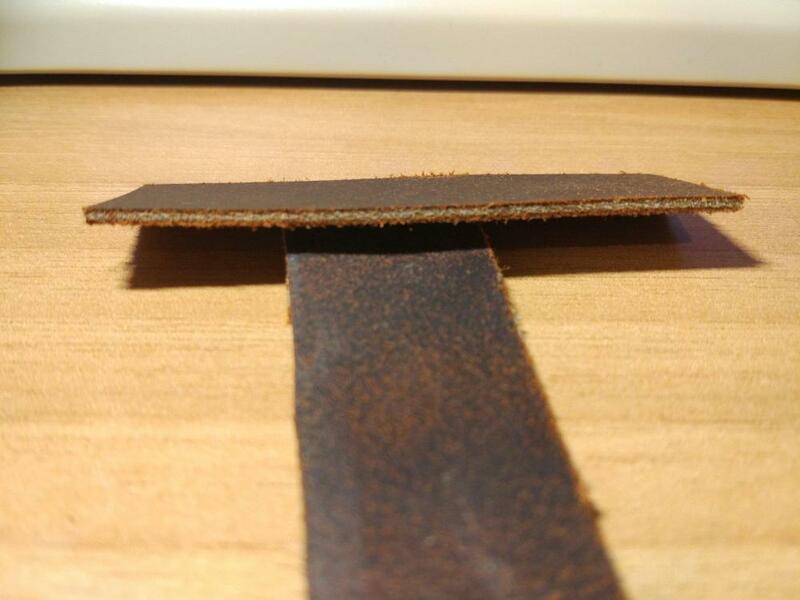 Is it a quality problem or this type of leather is not suitable for a strap? In the pictures bellow one piece became like this just by touching it and the other after some bending. Hi, and welcome to the forum. What you have there is as you said, cheap leather. It is chrome-tanned as evidenced by blue/gray middle section. The tanning was done too quickly (time is money) and the middle is essentially not tanned at all. The outer layers seem to be splits, meaning they are not the top of the leather hide, but what is left after the outer hide was stripped away. Having said all of that, if your goal is to practice, then go for it. You indicated you bought it to test, and for that purpose it is fine. When your skills improve and you are ready to make a keeper, then invest in a better quality of leather. By then you will probably have a notion of what type of leather you desire. Leather can run from luxurious to rustic and everything in between. There are different colors, finishes, textures, you name it. I don't know your location, but if there is a Tandy or similar leather store near you go in and ask them to "educate" you on the various types of leather they sell and the types of projects they lend themselves to. 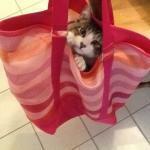 We are a friendly bunch here and always happy to offer advice based on our experiences. One suggestion is to scour the internet and look at leather straps until you find one you really like. You can sometimes find in the advertising it refers to the type of leather used, for example, Horween chromexcel or such. Sometimes there are no specifics, but we can usually nail it down based on appearances, whether the edges are coated versus burnished, etc. In your post you mentioned that the leather you have cracks and changes color when bent. That is because it is a split and the leather fibers are flexing and separating in all sorts of directions. Full grain leather will have a tighter grain on the outer surface and should not crack unless it is too dry. BTW, a good source of finding small leather projects to attempt is to go onto Pinterest and search for small leather goods or something like that. You will find key fobs, wallets, electric cord wraps and hundreds of other things that should keep you busy for a while. So good luck, keep the questions coming and we'll help support your progress! WTG on the response, Ray. @Nikos if you include your approximate area or even just your country of residence, people may be able assist you further. It's no help to you if somebody recommends a place to visit for more information, if that place is nowhere near you. Although there are many reputable suppliers who will ship anywhere, I found it extremely helpful to be able to go to where you can actually see and feel the different leathers. Ordering "in the blind" CAN be done with confidence, but only after you are sure of exactly what you want or need. I'm fortunate to have a Tandy nearby. I'll order from others much of the time, but it was only because of Tandy, that I learned what to look for. You have to get a feel for the different types available, as they are vastly different, even in the same weight/thickness. The project itself most often dictates what can or should be used. Find someplace that's reasonably "local", and spend some time examining and inquiring. Yes, mail order ultimately gives the most options, but I wouldn't start there.